My name is Brittany Washburn. I am a science and technology teacher at the elementary level. I am also a blogger and teacher author, wife, and Aunt. 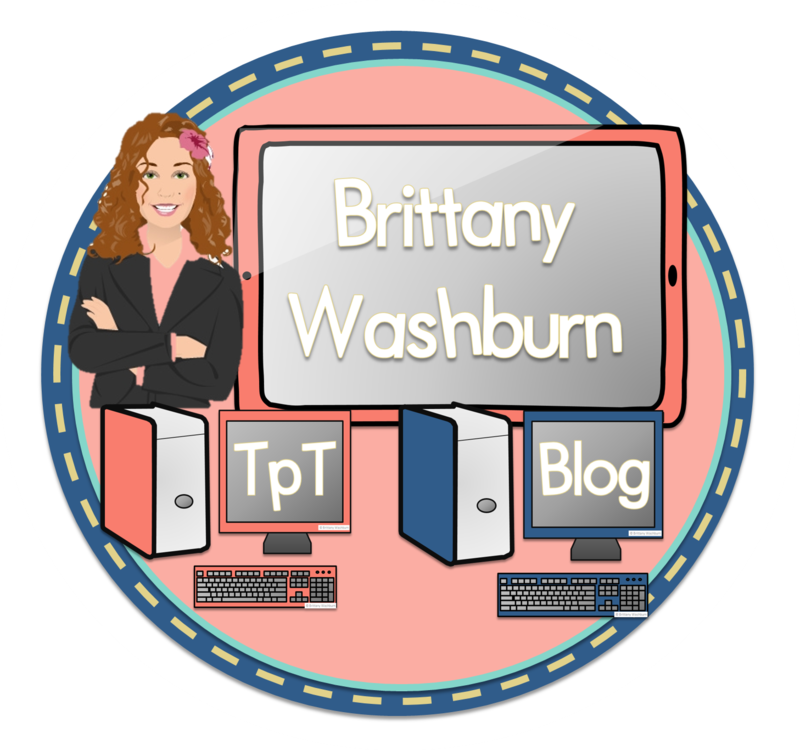 Check out my TpT Store and Blog to really get to know me. I LOVE developing great lessons. My classroom runs like a well-oiled machine. I strive to create lessons that are engaging and rigorous for every student. This gives me time to check in with individual students or small groups to build relationships with my 400+ students. 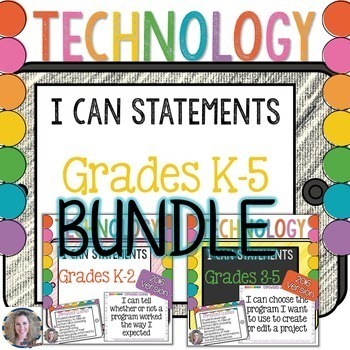 The product I use most in my own classroom that I also have for sale in my store is my Technology I Can Statements. I use these I Can statements every single day. Not only are they colorful, in child-friendly language, and easy to use, but each statement can also be used as inspiration for a technology-enhanced activity. They are awesome! I think most teachers are driven to be successful (I like to call this gritty). If you are willing to put the time into learning and creating engaging resources then TpT can be a life-changing opportunity for you. TpT has been such a blessing in my life. I opened a store at a time in my life when I needed to keep myself busy. My husband and I have been trying to start a family since we were married nearly 6 years ago. My TpT earnings have gone to fertility treatments (procedures, surgery, medication, etc.). Even though we haven’t been successful conceiving, TpT has been my “child” emotionally as I have developed my store and watched it grow! Teachers are sharing and caring individuals. I am thrilled to be part of The Best of Teacher Entrepreneurs Marketing Cooperative because it gives me a greater opportunity to learn from and share my resources with amazing teachers.